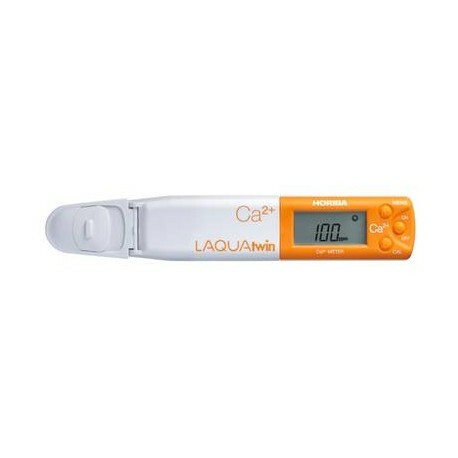 Compact waterproof calcium ion meter with flat sensor technology requiring just a couple of drops of sample. Lightweight meter reads directly in ppm. Compact waterproof calcium ion meter with flat sensor technology requiring just a couple of drops of sample. Two point calibration with included standards (150ppm & 2000ppm).